If you had asked us 6 months ago if we would ever release an EP with Taster Peter on Traum we would have shook our head. 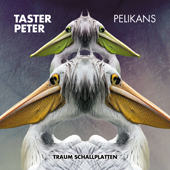 Taster Peter has released brilliant techno EPs on our label Trapez in the past… so we were really surprised when his latest Trapez demo turned out to include a Traum track named "Pelikans". We recognized the beauty of the track and Taster Peter built an EP around this track. After having released a lot of tracks recently categorized as electronica, we here view melodic music from the perspective of a techno thinking person, which is exciting again! The EP opens with the title track "Pelikans". Starting with a steam hammer beat absorbing droning noises, like electrostatic tension does, the track dives into psychedelic soil and gains spiritual momentums leading to a hypnotic state. From there the track undergoes changes of a higher dynamic before it drops back into something like a perfect balance of beat and sound. "Running Disorder" also moves along with a heavy beat but has sweet sounds moving in and out from time to time, they disappear as fairy like as they came, like waves on the shore. The track carries a slight orchestral feeling but also has compositional elements creating an urgency we now from Detroit techno and reaches out beyond that with some courageous compositional elements providing it with the tightness we like so much here. The third track is called "Danza Inquieta" and is probably the most experimental track Taster Peter has ever done. A superb and stunning collage of sounds! The French duo We Need Cracks who have released this year on Traum, have remixed "Pelikans" in their fabulous way injecting they're feeling of fatefulness and cinematic elegance. The result is a beautiful and absorbing piece of music. Peet who has released an EP for us a while ago and has contributed to Tour de Traum has remixed "Danza Inquieta" and has managed to capture twinkles of the original and has altogether given the track a totally different breathing texture. Rhythm structure, in fact is the classic but never tiring four to the floor beat which will enable DJs to play the track in bars or other locations. The new English artist signed to Traum, Padre is a person who has written in numerous trax to come out in the future, this remix is his first official sign of life on our label. His funky beat programming reminds us of early Warp music by Sweet Exorcist (aka Cabaret Voltaire). 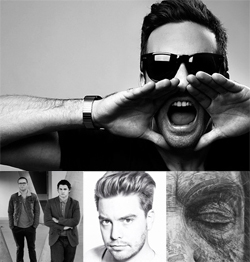 The understatement in his music could it be described in a color as: "béton brut". Padre switches between motion and lifelessness and you can never say which one prevails. That tension makes his remix such a treasure.